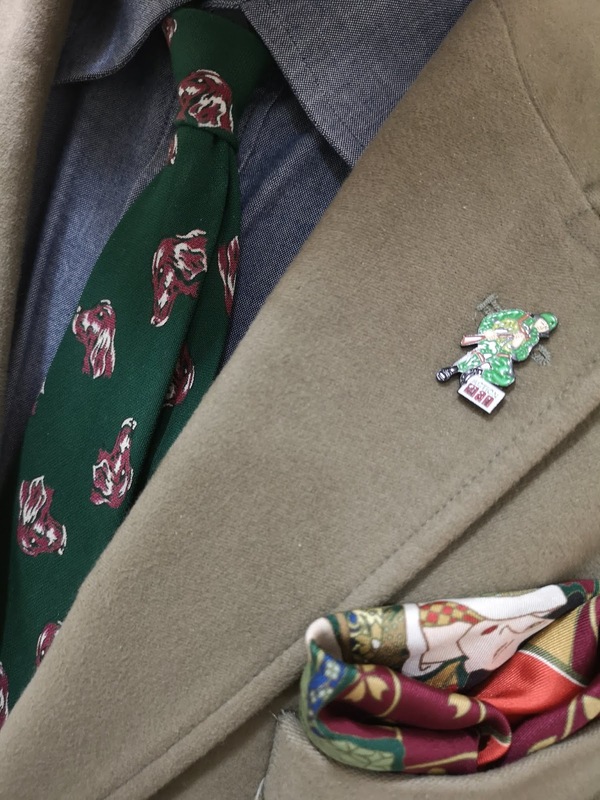 You may remember my Tootal write-up last year when I started collecting their vintage ties. I’ve now expanded this to include cravats and scarves. Well this week, I’ve received some more vintage Tootal treasures that I’m particularly pleased with. 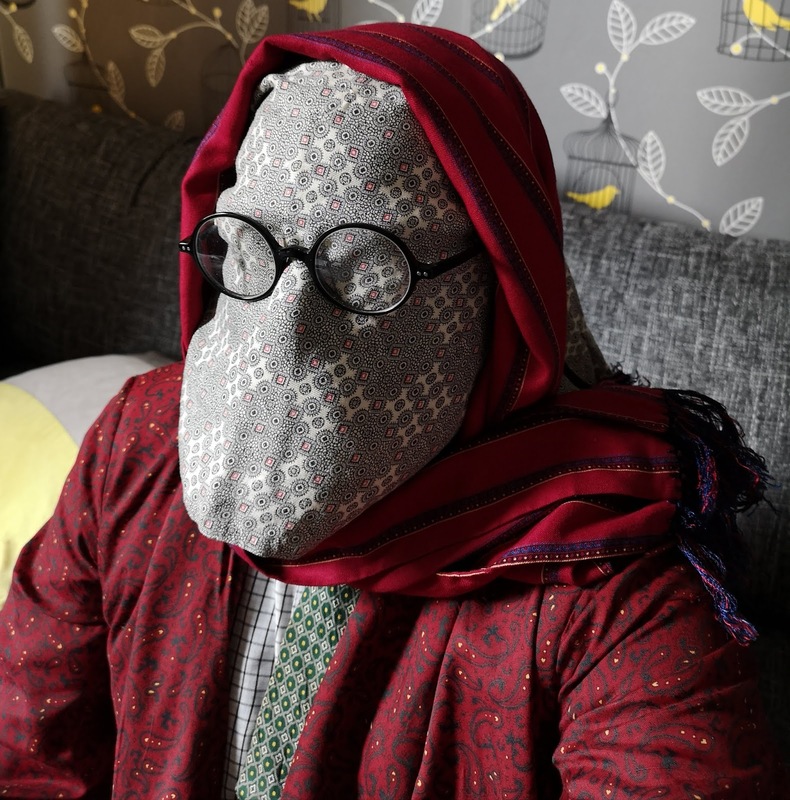 The first is this rather charming cravat, which in Godfather style, features horse heads. I have a tie, again from Tootal, which is quite similar to this so I’ve been keen to add a horsey cravat to my collection too. I'm a self-confessed supporter of yellow; it’s such a cheerful colour and as the world is too full of dreary colours for my liking, hopefully this cravat will help brighten things up. Following the animal theme, I also became the grateful recipient of this tie. 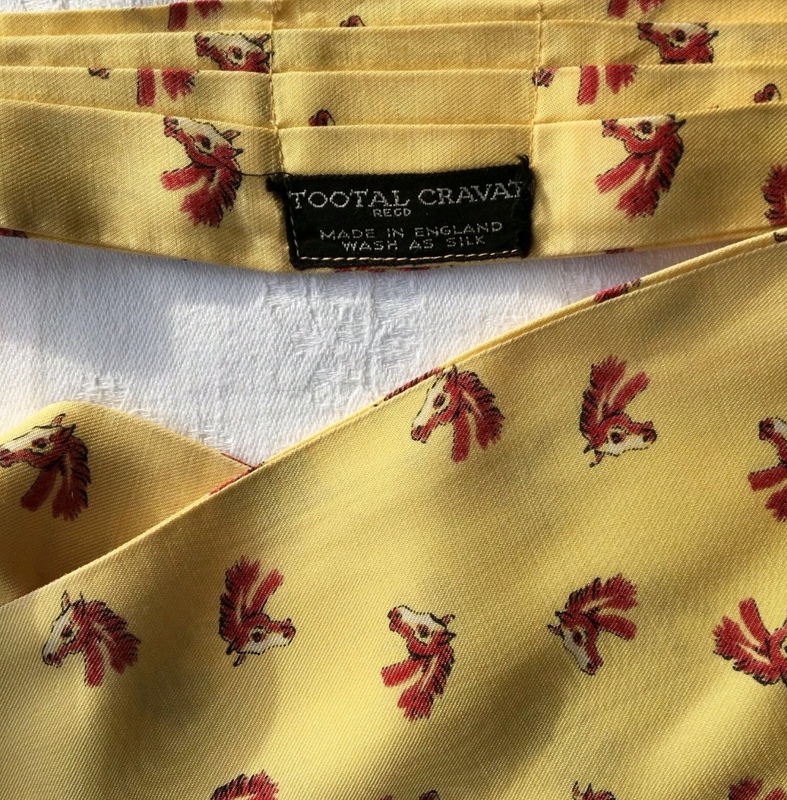 This is a Sports quality tie from the 1940s to early 1950s and is adorned with dogs. They look like Irish Setters to me, but do correct me if I’m wrong. Unfortunately, there is a little fraying at the tip, but I’m willing to overlook it for the wagginess that the tie exudes. 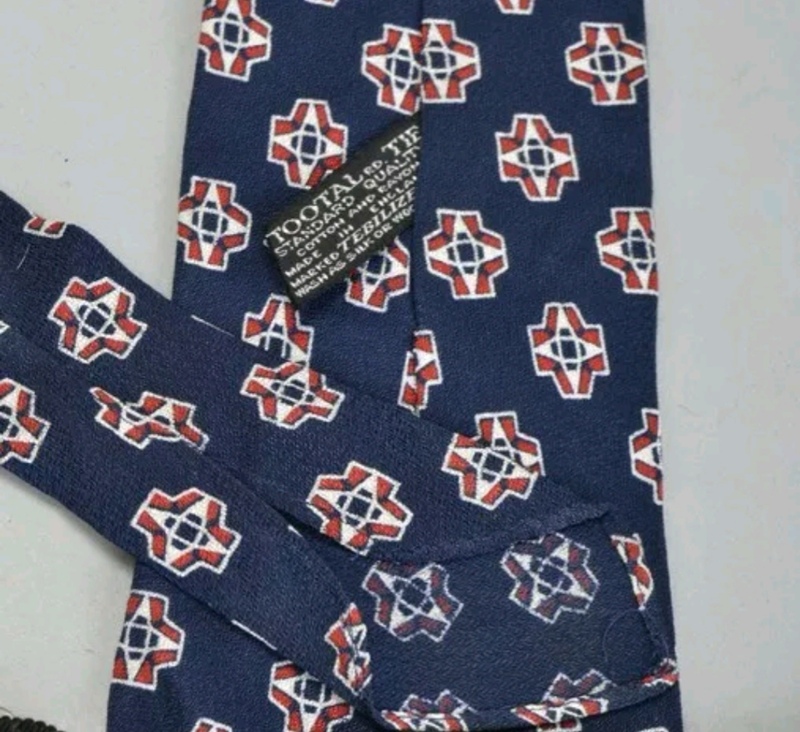 As if one ties wasn’t enough, I also received this Standard quality tie which I’d date as being from the 40s. It features an enchanting art deco design and boasts an attractive shimmer which is dashed difficult capturing on camera. 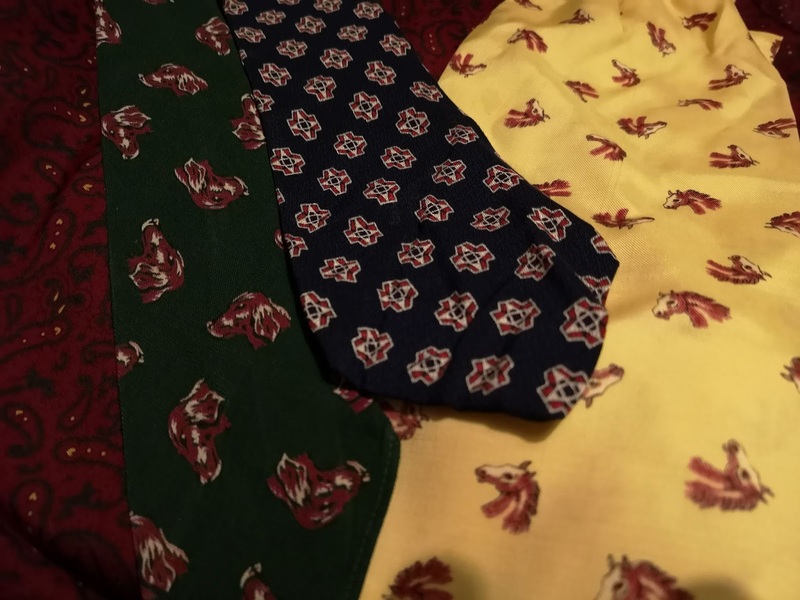 My collection of Tootal ties is now at the 50 mark and I have no hesitation in declaring this my pick of a very big bunch. It really is magnificent and I can’t wait to wear it. And finally, I’ve received a Tootal dressing gown. 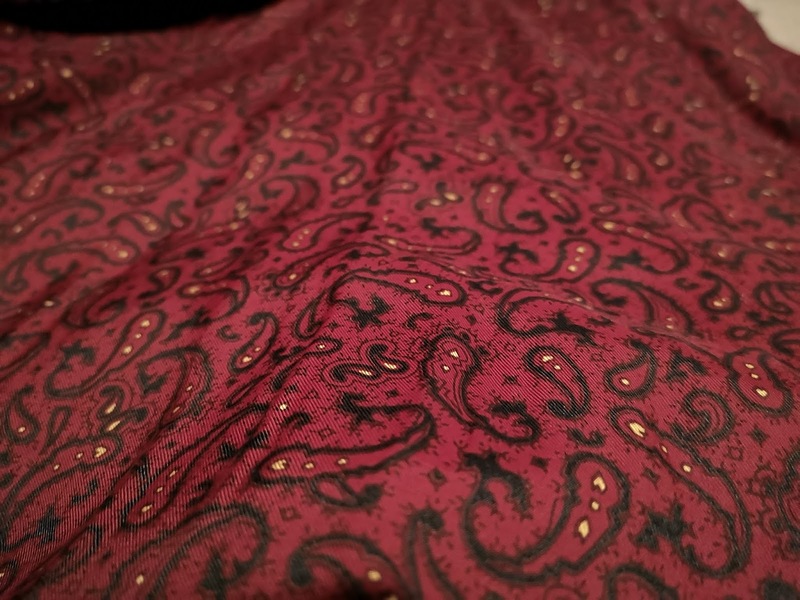 In a pleasing paisley design, it’s made from rayon (none of this man-made polyester rubbish) and it is truly wonderful. I’m looking forward to sauntering around the house in this robe and my velvet slippers. I’m now on the look-out for a matching cravat. If you spot one, do let me know.